Does a Broader Church Impact the Congregation? 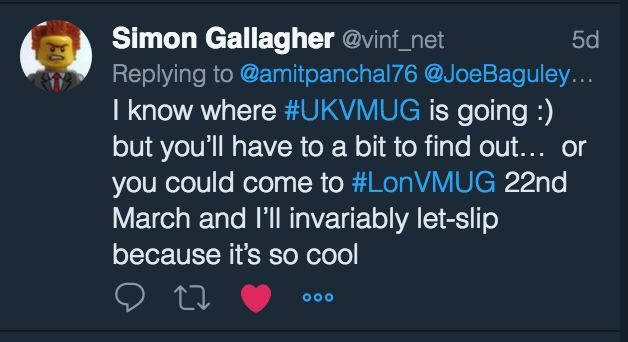 I had an interesting conversation with a long time VMUG member at yesterday’s London VMUG meeting. He’d not been to a meeting in a while and felt that some of the content and sponsors weren’t relevant, at least not to him in his role (specifically vSphere focused). In talking to one of the sponsors, BlueMedora, who operate on top of vRops – which this particular member doesn’t use – he said this highlighted the lack of relevance of a VMUG meeting for him. I commented that perhaps VMware is becoming less relevant in today’s IT stack and he countered that with so many differing solutions, perhaps folks like him are looking at more niche type events. However, on further cogitation I don’t believe that VMware is becoming less relevant per se, just that other options are becoming more prevalent. 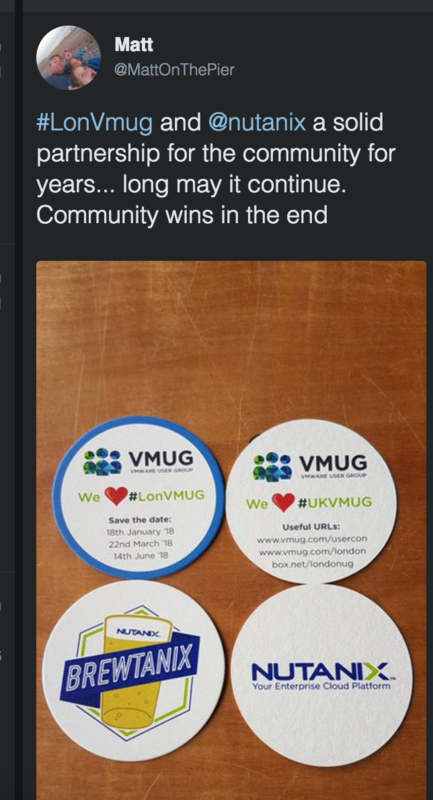 What I do think, however, is that whilst the VMware community is still strong and passionate, VMUG itself is, perhaps, becoming less relevant. With the recent “VMUG Gate” issues surrounding Nutanix and then the communications debacle around the announcement of VMUG becoming part of Dell Technologies User Community, perhaps VMUG itself is at risk of demise due to trying to be a broader ‘church’? I recently spoke to one of my colleagues in the Nordic region about a decline in meeting attendance and with numbers on the low side in London too, especially considering Frank Denneman was on the agenda, maybe VMUG itself needs to adapt and morph to remain relevant? Perhaps there needs to be different tracks for different interests; one for traditional ol’ vSphere-ites and one for the fanbois of all things new and shiny, and not necessarily just VMware? In closing, this tweet from last night’s Luxury vBeers reminded me that whilst there are corporate politics and bureaucracy, the community will always win through! 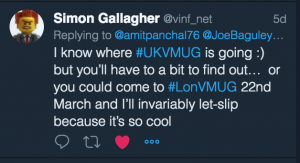 London VMUG Meeting 22nd June – Deep Dives, Servers for Serverless & More! 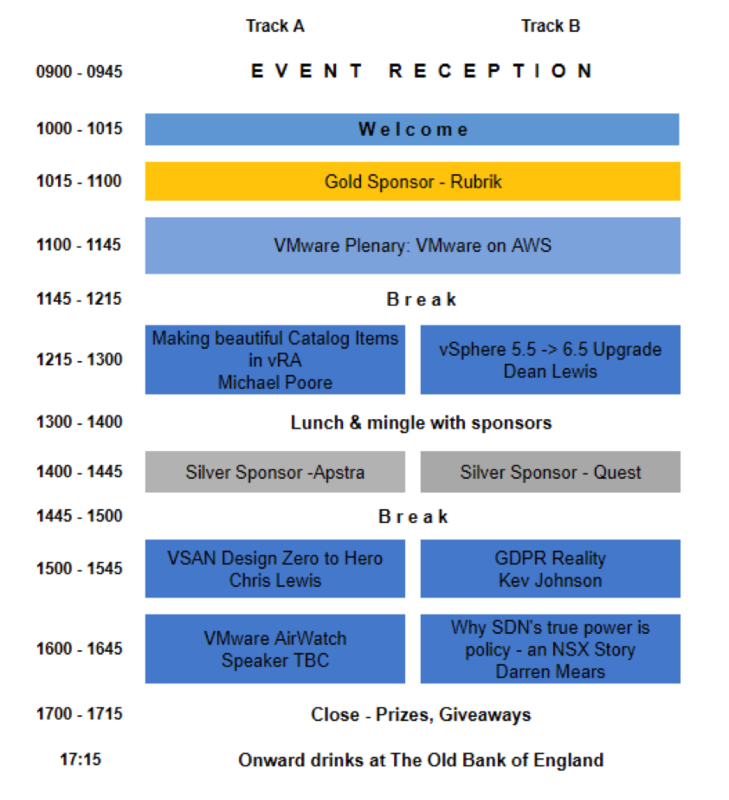 Really looking forward to the London VMUG meeting next week. Great agenda and good sponsor sessions, with key draw being Frank Denneman’s keynote regarding VMware Cloud on AWS, plus his session with Niels Hagoort on their forthcoming book, VMware vSphere 6.5 Host Resource Deep Dive. Also looking forward to Julian Wood’s session on servers for serverless – is that an oxymoron?! You can register here and don’t forget luxury vBeers post meeting, they are awesome and held at Fourpure. Unfortunately, due to hubby’s birthday, I won’t be able to go, boo hoo 🙁 but you WILL have an awesome time, especially if the weather is good and you sit outside – enjoy! 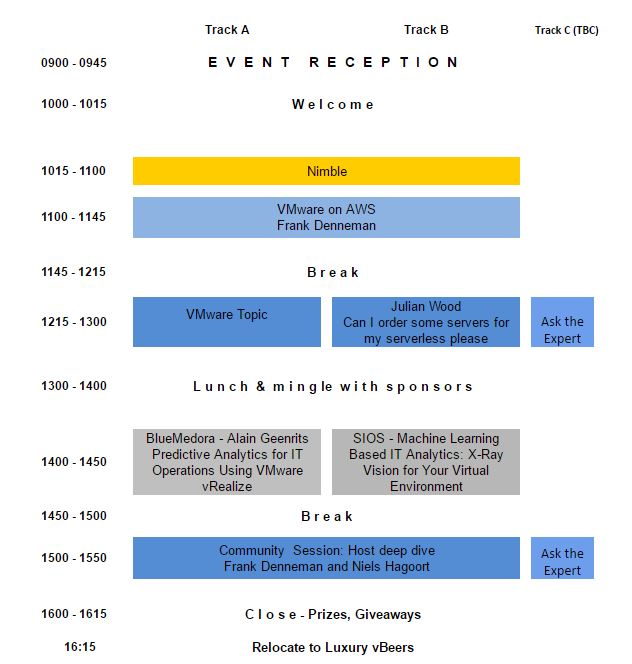 I’m particularly looking forward to next week’s London VMUG meeting; not just because I’ll catch up with all the usual members, not just because there’s another great agenda put together by the volunteer leaders, but also because I’ll be there with my new client, Runecast, who is a silver sponsor. They’ve just returned from an awesome 2 UserCons down in Australia. Runecast Analyzer received a great reception ‘down under’ and my twitter stream was alight at silly o’clock in the mornings due to copious amounts of tweets! Runecast is also sponsoring the German and UK UserCons in June and November, as well Silicon Valley and Indianapolis in the US. For those readers unaware or unfamiliar with Runecast Analyzer, it is a proactive VMware vSphere management solution that installs as an OVA format virtual appliance. Runecast Analyzer uses current VMware Knowledge Base articles and Runecast’s expertise to analyze the virtual infrastructure and expose potential issues and best practice violations, before they cause major outages. I’ve been extremely excited by the reception that both the team and their solution has been receiving recently. From talking with potential partners, interviewing customers for case studies and reading blogs by many leading industry luminaries, such as Duncan Epping, Cormac Hogan and Vladan Seget, it is clear that Runecast Analyzer is a ‘must have’ in any VMware vSphere environment, plus if you’re a vExpert, you get an NFR for free! 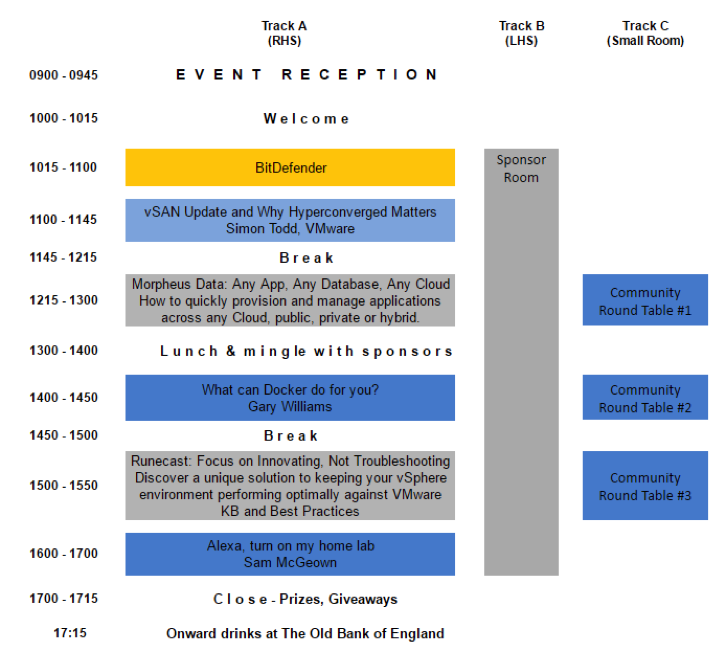 Check out the agenda below to see timings for the day, and hope to see you in London next week!